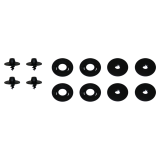 You will find fastening clips for your floor mats for retrofitting in this category. The clips function for all vehicles that do not as yet have fittings for floor mats in the footwell. 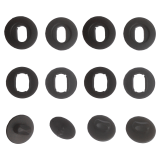 We have inexpensive oval and round floor mat clip sets in our product range.